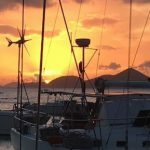 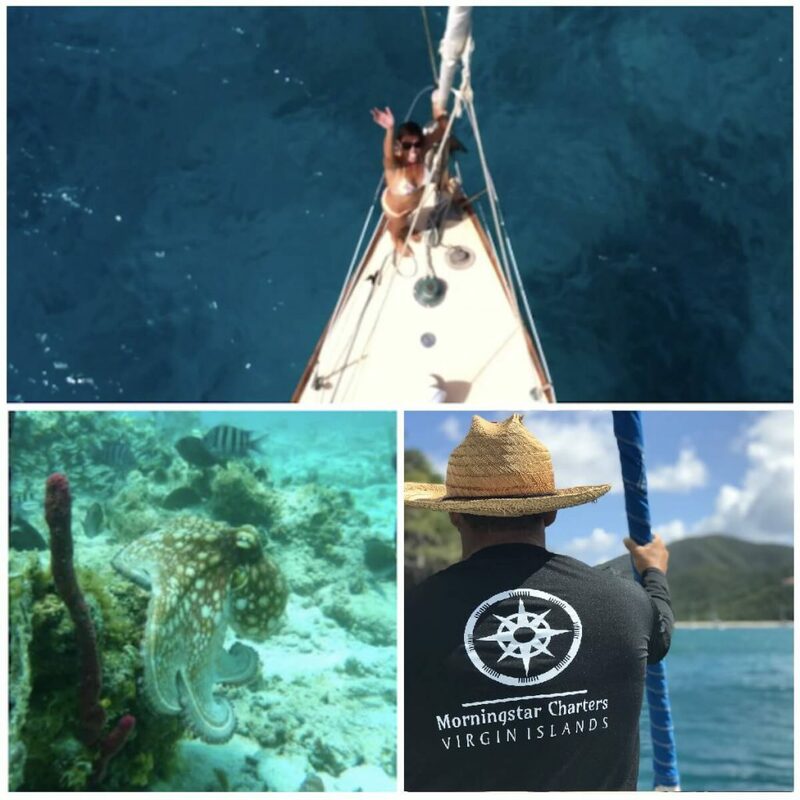 For our sunset sailing departure and to offer the best views of the sun setting over St. Thomas and the surrounding islands and cays we sail from Cruz Bay, St. John. 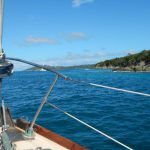 Departing from St. John allows a protected and smooth sail through the national park and breathtaking views of the sun setting over St. Thomas. 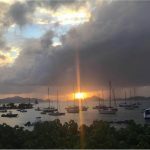 The ferry from Redhook (east end) St. Thomas to Cruz Bay, St John is 12 minutes and leaves both locations every hour on the hour. 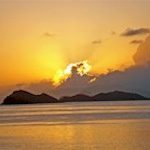 We recommend our guests coming over earlier in the day to explore Cruz Bay or at the latest the 3 PM ferry. 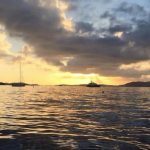 We greet your guests right off of the ferry dock on the beach of Cruz Bay.